Oke A. O., Ajala F.A., Baale A. A.
Abstract: Water is one of the most important basic needs for all living things. It is a limited resource and is very important for all and sundry. Unfortunately, a huge amount of water is being wasted by uncontrolled use. This problem is quietly related to poor water allocation, inefficient use, and lack of adequate and integrated water management. Therefore, the need for an intelligent expert system for home or office water management arises which is the problem this project aims to solve. At the end of the research, an intelligent internet of things based water level management system which was capable of detecting water level and preventing water overflow was designed and implemented. Keywords: Internet of Things (IOT), Water, Intelligent, Expert system, WIFI Module. Zachos, N., Kosmatopoulos, C., Laopoulas, TH. (2008) "A Wireless Network of Remote Measuring Stations: Application in Water Level Monitoring", IEEE Catalogue No.95TH8081. Zulhani, R., Hamzah, H., Shahrieel M.M.A., (2009) " Application And Evaluation Of High Power Zig bee Based Wireless Sensor Network In Water Irrigation Control Monitoring System", IEEE Symposium On Industrial Electronics and Applications (ISIEA), October 4-6, Kuala Lumpur, Malaysia. Brito, N., Ribeiro, P., Soares, F., Monteiro, C., Carvalho, V., Vasconcelos, R., (2009) " A Remote System For Water Tank Level Monitoring And Control - A Collaborative Case-Study", 978-1-4244-4654-4/09/$25.00 ©2009 IEEE . Komeswarakul, P., Saengsatcha, A., Jomtarax, K., Suksomboon and Lewlomphaisarl, U., (2011) " Remote Terminal Unit For Automatic Dam Monitoring System Using A Microcontroller ", SICE Annual Conference September 13-18, Waseda University, Tokyo, Japan. Matiur rahman, S.A.M., Abdullah M.A.M., Ahmed, N.U., Ahmed, N., Sharafat M.A., Monirul M.I., (2014) "Design Automatic Controlling System For TAP Water Using Floating Level Sensor", IEEE International Symposium On Robotics. Oke A. O., Adigun A. A. and Olaniyi O. M. (2015): Automated Capacitance-based Fuel Level Monitoring System for Networked Tanks. 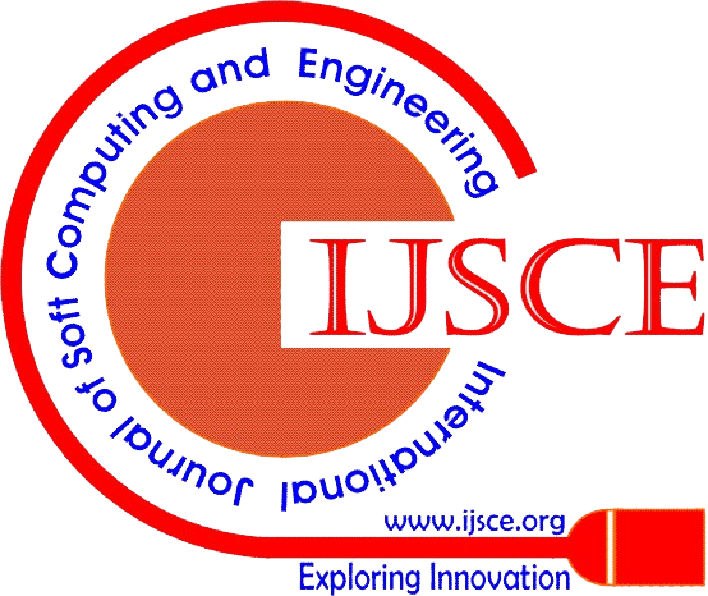 International Journal of Electronics Communication and Computer Engineering (IJECCE). 6(4): 497-501. Adeyemo, I. A., Ojo, J. A., Babajide, D. O.
Abstract: Real-time application of Selective Harmonic Elimination-Pulse Width Modulation (SHE-PWM) technique is limited due to the heavy computational cost involved in solving a specified number of transcendental nonlinear equations known as Selective Harmonic Elimination (SHE) equations that contain trigonometric functions. Traditional methods of solving SHE equations include numerical techniques, and derivative free evolutionary algorithms. However, none of these methods can compute the switching angles in real time.In this paper, a two-phase adaptive algorithm is proposed for real-time generation of optimal switching angles in multilevel inverters. In the firstphase, optimal switching angles are calculated offline using real coded genetic algorithm (RCGA). In the second phase, results of RCGA are used to train an ANFIS model. Simulation of an 11-level inverter in MATLAB/Simulink reveals that the proposed method is highly efficient for online harmonic reduction in multilevel inverter. Keywords: Multilevel Inverter, Real Coded Genetic Algorithm (RCGA), Adaptive Neuro-Fuzzy Inference System (ANFIS), and harmonics. Rodríguez, J. Lai, F.Peng, “Multilevel inverters: a survey of topologies, controls and applications,” IEEE Transactions on Industry Applications, vol. 49, no. 4, Aug. 2002, pp. 724-738. Khom foi, L. M Tolbert, Chapter31.Multilevel Power Converters. The University of Tennessee.pp.31-1 to 31-50. Kumar, B. Das, and P. Agarwal, “Selective Harmonic Elimination Technique for Multilevel Inverter,’’ 15th National Power System Conference (NPSC), IIT Bombay, 2008, pp. 608-613. Chiasson, L. M. Tolbert, K. McKenzie, and Z. Du, “Elimination of Harmonics in a Multilevel Converter using the Theory of Symmetric Polynomial and Resultant,’’ Proceedings of the 42ndIEEE Conference on Decision and Control, Dec. 2005, pp. 216-223. Swift and A. Kamberis, “A New Walsh Domain Technique of Harmonic Elimination and Voltage Control In Pulse-Width Modulated Inverters,” IEEE Transactions on Power Electronics, volume 8, no. 2, 1993, pp. 170–185. J. Liang and R. G. Hoft, “Walsh Function Method of Harmonic Elimination,” Proceedings of IEEE Appl. Power Electron.Conference,1993, pp.847–853. J. Liang, R. M. O’Connell, R. M. and R. G. Hoft, “Inverter Harmonic Reduction Using Walsh Function Harmonic Elimination Method,” IEEE Transaction on Power Electron, volume 12, no. 6, 1997, pp. 971–982. Ozpineci, L. M. Tolbert, and J. N. Chiasson, “Harmonic Optimization of Multilevel Converters Using Genetic Algorithm,’’35 Annual IEEE Power Electronics Specialists Conference, Germany, 2004. Vinoth, and H. Umeshprabhu, ‘‘Simulation of Particle Swarm Optimization Based Selective Harmonic Elimination, “International Journal of Engineering and Innovative Technology (IJEIT) Volume 2, Issue 7, 2013, pp. 215-218. A.Adeyemo, O. O. Okediran, and C. A.Oyeleye, “Particle Swarm Optimization Approach to Harmonic Reduction in Voltage Source Multilevel Inverter,” International Journal of Soft Computing and Engineering,Volume 5, Issue 5, Nov. 2015, pp. 1-5. Sundareswaran,K. Jayant, and T. N. Shanavas, “Inverter Harmonic Elimination through a Colony of Continuously Exploring Ants,” IEEETransactions on Industrial Electronics, volume 54, no. 5, 2007, pp. 2558-2565. A.Adeyemo, O. A. Fakolujo, and G. A. Adepoju, “Ant Colony Optimisation Approach to THD Analysis in Multilevel Inverter with Different Levels”, International Journal of Innovative Research in Science, Engineering andTechnology,Volume 4, Issue 9, Sept. 2015, pp. 9071-9082. Kavousi, et. al., “Application of the Bee Algorithm for Selective Harmonic Elimination Strategy in Multilevel Inverters,” IEEE Transactions on Power Electronics, Vol. 27, No. 4, April 2012, pp.1689-1696. Azab, “Harmonic Elimination in Three-Phase Voltage Source Inverters by Particle Swarm Optimization,” Journal of Electrical Engineering and Technology, Vol. 6, No. 3, 2011,pp. 334-341. Abu-Rub, A, Iqbal, S. M. Ahmed, F. Z. Peng, Y. Li, and G. Baoming, “Quasi-Z Source Inverter-Based Photovoltaic Generation System With Maximum Power Tracking Control Using ANFIS,” IEEE Transactions on Sustainable Energy, Vol. 4, No 1, January 2013, pp. 11-20. H. Baker and L. H. Bannister, “Electric power converter,” U.S. Patent 3867643, Feb. 1975. Nabae, I. Takahashi and H. Akagi, “A new neutral-point clamped PWM inverter,”IEEE Trans. Ind. Applicant., vol. IA-17, Sept./Oct. 1981, pp. 518–523. A. Meynard and H. Foch, “Multi-level conversion: High voltage choppers and voltage- source inverters,” in Proc. IEEE-PESC, 1992, pp. 397–403. Hammond, “A new approach to enhance power quality for medium voltage ac drives,” IEEE Trans. Ind. Applicat., vol. 33, pp. 202–208, Jan./Feb. 1997. Sirisukprasert, J. S. Lai, and T. H, Liu, “Optimum Harmonic with a Wide Range of Modulation Indixesfor Multilevel Converters,” IEEE Transaction on Industrial Electronics, Vol. 49, no; 4, August 2002, pp. 875-881. H. Holland, Adaptation in Natural and Artiﬁcial Systems (U. Michigan Press, Ann Arbor, Mich., 1975). Haykin, Neural Network-A Comprehensive Foundation. 2nded. New York. Prentice-Hall,1999. S. R. Jang, “ANFIS: Adaptive Network Based Fuzzy Inference System,” IEEE Trans. Syst., man., Cybern., Vol. 23, No 3, May/June 1993, pp 665-685. Abstract: Power Loss minimization at the highest extent possible in an Electrical network is more important than generating the same lost power. Recent distribution network is expanding rapidly and power loss minimization is the challenging task to the automation system. This paper presents an advanced integrated optimal method for network reconfiguration along with distributed generation allocation in the large scale distribution system with an objective of minimization of network power loss and enhancement of system voltage stability & reliability as a consequence. Linear population size reduction technique of success history based adaptive differential evolution (L-SHADE) has been applied to execute this optimization assignment. In addition to the adaptation of scaling factor (F) and the crossover rate (CR) as in the previous algorithm SHADE , the control parameter population size (Np), over successive generations in the algorithm, is also linearly reduced. The algorithm optimizes DG size along with corresponding location (bus number) and also reconfigures the network simultaneously. Therefore, this optimization assignment is a combination of continuous (rating) and discrete (location) variables. IEEE 119 bus standard radial distribution network has been utilized for testing. The simulation results have been compared with that of other available equivalent algorithms in the large scale distribution system and found as the best among them. Keywords: Larger Distribution System, Network Power Loss Minimization, Voltage Profile, Optimal Reconfiguration, Distributed Generation, L-SHADE Algorithm. Ng HN, Salama MM, Chikhani AY. Classification of capacitor allocation techniques. IEEE Transactions on power delivery. 2000 Jan;15(1):387-92. Nguyen TT, Truong AV. Distribution network reconfiguration for power loss minimization and voltage profile improvement using cuckoo search algorithm. International Journal of Electrical Power & Energy Systems. 2015 Jun 1;68:233-42. Imran AM, Kowsalya M. A new power system reconfiguration scheme for power loss minimization and voltage profile enhancement using fireworks algorithm. International Journal of Electrical Power & Energy Systems. 2014 Nov 1;62:312-22. Flaih FM, Xiangning L, Dawoud SM, Mohammed MA. Distribution system reconfiguration for power loss minimization and voltage profile improvement using Modified particle swarm optimization. InPower and Energy Engineering Conference (APPEEC), 2016 IEEE PES Asia-Pacific 2016 Oct 25 (pp. 120-124). IEEE. Naveen S, Kumar KS, Rajalakshmi K. Distribution system reconfiguration for loss minimization using modified bacterial foraging optimization algorithm. International Journal of Electrical Power & Energy Systems. 2015 Jul 1;69:90-7. Ayodele TR, Ogunjuyigbe AS, Akinola OO. Optimal location, sizing, and appropriate technology selection of distributed generators for minimizing power loss using genetic algorithm. Journal of Renewable Energy. 2015;2015. Kefayat M, Ara AL, Niaki SN. A hybrid of ant colony optimization and artificial bee colony algorithm for probabilistic optimal placement and sizing of distributed energy resources. Energy Conversion and Management. 2015 Mar 1;92:149-61. Viral R, Khatod DK. An analytical approach for sizing and siting of DGs in balanced radial distribution networks for loss minimization. International Journal of Electrical Power & Energy Systems. 2015 May 1;67:191-201. Imran AM, Kowsalya M, Kothari DP. A novel integration technique for optimal network reconfiguration and distributed generation placement in power distribution networks. International Journal of Electrical Power & Energy Systems. 2014 Dec 1;63:461-72. Nguyen TT, Truong AV, Phung TA. A novel method based on adaptive cuckoo search for optimal network reconfiguration and distributed generation allocation in distribution network. International Journal of Electrical Power & Energy Systems. 2016 Jun 1;78:801-15. Bayat A, Bagheri A, Noroozian R. Optimal siting and sizing of distributed generation accompanied by reconfiguration of distribution networks for maximum loss reduction by using a new UVDA-based heuristic method. International Journal of Electrical Power & Energy Systems. 2016 May 1;77:360-71. Zhang D, Fu Z, Zhang L. An improved TS algorithm for loss-minimum reconfiguration in large-scale distribution systems. Electric Power Systems Research. 2007 Apr 1;77(5-6):685-94. Tanabe R, Fukunaga A. Success-history based parameter adaptation for differential evolution. InEvolutionary Computation (CEC), 2013 IEEE Congress on 2013 Jun 20 (pp. 71-78). IEEE. Tanabe R, Fukunaga AS. Improving the search performance of SHADE using linear population size reduction. InEvolutionary Computation (CEC), 2014 IEEE Congress on 2014 Jul 6 (pp. 1658-1665). IEEE. Biswas PP, Mallipeddi R, Suganthan PN, Amaratunga GA. Optimal reconfiguration and distributed generator allocation in distribution network using an advanced adaptive differential evolution. In Computational Intelligence (SSCI), 2017 IEEE Symposium Series on 2017 Nov 27 (pp. 1-7). IEEE. Abstract: E-banking systems have been shown to increase and modify particularly Operational Risk (OR). It has increased the technical complexity of the banks operational and security issues. The mode of occurrence, magnitude, and consequences often takes on new dimensions. It has become increasingly important to effectively identify potential OR issues underlying the E-banking operations, their causal relationships, the effectiveness of controls implemented, the inherent risk exposure level, and the residual risk. This research work seeks to propose Tree Augmented Naïve Bayes (TAN) Classifier in the modeling of the causal relationships among operational risks factors. To validate the proposed use of TAN classifier, we comparatively analyzed the performance of the TAN classifier with three other soft computing tools; C4.5 Decision Tree, Naïve Bayes (NB) and Artificial Neural Networks (ANN). These soft computing tools were evaluated in terms of the CPU training time complexity, classification measured by prediction accuracy, ranking measured by AUROC, and the Mean and Relative absolute error rate. The dataset was pre-processed and transformed by conducting a factor analysis procedure using SPSS statistical measurement tool, to identify risks that may require urgent actions and to reduce the dimensionality of the dataset into a smaller subset of most significant measurable variables. WEKA was then used as the developmental tool for training and testing the soft computing classifiers. Through causality learning from the collected E-banking Customers’ data, we demonstrated that the proposed classifier cannot only discover causalities but also perform better in prediction than other algorithms, such as C4.5, NB, and ANN. The TAN network structure revealed the interdependencies among operational risk factors. Keywords: Causal Relationships, Operational Risk, Soft Computing, Classifiers, E-banking. Barnett, R. (2009) The Web Hacking Incidents Database (WHID). Breach Security Inc. Bi-Annual Report. Bonsón E., Escobar, T., & Flores, F. (2008) Operational Risk Measurement in Banking Institutions and Investment Firms: New European Evidences. Financial Markets, Institutions and Instruments, 17(4), pp.287-307. British Standards Institution (2010) BS EN 31010. Risk Management – Risk Assessment Techniques. Geneva: International Organization of Standardization. Adusei-Poku, K. (2005) Operational Risk Management - Implementing a Bayesian Network for Foreign Exchange and Money Market Settlement. PhD thesis, University of Gottingen. Nash, D. & Murray, H. (2011) Using Monte-Carlo Simulations and Bayesian Networks to Quantify and Demonstrate the Impact of Fertiliser best Management Practices. Environmental Modelling and Software, 26(9), pp.1079-1088. Witten, I. H., & Frank, E. (2005) Data Mining: Practical Machine Learning Tools and Techniques, 2nd edn., San Francisco: Elsevier. Dunham, M. (2003) Data Mining Introductory and Advanced Topics. China: Pearson Education Asia Limited and Tsinghua University Press. Zadeh, L. A. (1992) Fuzzy Logic for the Management of Uncertainty. New York: John Wiley. Jang, J. R., Sun, C., & Mizutani, E. (1997) Neuro-Fuzzy and Soft Computing: A Computational Approach to Learning and Machine Intelligence. Upper Saddle River, NJ: Prentice Hall. Li, X., Ruan, D., Van der Wal, A. J. (1998) Discussion on Soft Computing at FLIN’96. International Journal of Intelligent Systems, 13(2-3), pp.287-300. Negnevitsky, M. (2002) Artificial Intelligence: A guide to Intelligent Systems. 1st edn., Essex: Pearson Education Limited. Mogharreban, N. (2006) Adaptation of a Cluster Discovery Technique to a Decision Support System. Interdisciplinary Journal of Information, Knowledge, and Management, vol. 1, pp.59-68. Venugopal, K. R., Srinivasa, K.G., & Patnaik, L. M. (2009) Soft Computing for Data Mining Applications. New York: Springer. Giudici, P. (2004) Integrating Quantitative and Qualitative Operational Risk Data: A Bayesian Approach. In: Cruz, M., ed. Operational Risk Modelling and Analysis. London: Risk Books, pp.131-138. Marquez, D. (2008) Using Bayesian networks to model the operational risk to information technology infrastructure in financial institutions. Computer, 22, pp.131-138. Liu, J. & Liu, R. (2011) Using Bayesian Networks to Model Operational Risk of Bank. International Conference on Computer and Management – CAMAN, Conference Proceedings, Wuhan, China: IEEE, pp.1-4. Shevchenko, P. V. (2011) Modelling Operational Risk Using Bayesian Inference. Media, pp.235-271. Aquaro, V., Bardoscia, M., Bellotti, r., Consiglio, A., De Carlo, F., & Ferri, G. (2012) A Bayesian Networks Approach to Operational Risk. Submitted to Journal of Physica A389(2010), pp.1721-1728. King, L. (2001) Operational Risk: Measurement and Modelling. New York: Wiley. Alexander, (2003) Operational Risk, Regulation Analysis and Management. London: Pearson Education. Sanford, A. D., & Moosa, I. A. (2011) A Bayesian Network Structure for Operational Risk Modelling in Structured Finance Operations. Journal of the Operational Research Society, pp.1-14. Mahant, N. (2004) Risk Assessment is Fuzzy Business- Fuzzy Logic Provides the Way to Assess Off-site Risk from Industrial Installations. 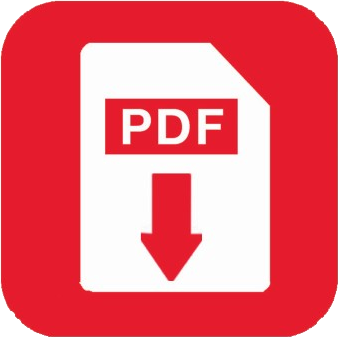 Bechtel Corporation Technical paper: 2004-206. McGill, W. L. & Ayyub, B. M. (2007) Multicriteria Security System Performance Assessment Using Fuzzy Logic. The Journal of Defense Modelling and Simulation: Applications, Methodology, Technology. 4(4), pp.356-376. Sadiq, R., Kleiner, Y., & Rajani, B. (2007) Water Quality Failures in Distribution Networks – Risk Analysis using Fuzzy Logic and Evidential Reasoning. Risk Analysis, 27(5), pp.1381-1394. Pokorádi, L. (2009) Risk Assessment Based Upon Fuzzy Set Theory. 15th “Building Services, Mechanical and Building Industry Days”, International Conference, Debrecen, Hungary, 15-16th October 2009, pp.311-318. Aburrous, M, Hossain, M. A., Thabtah, F. Dahal, K., (2008) Intelligent Quality Performance Assessment for E-banking Security using Fuzzy Logic. Fifth International Conference on Information Technology: New Generations - ITNG, Conference Proceedings, 7-9th April 2008, pp.420-425. Zlateva, P., Pashova, L., Stoyanov, K., & Velev, D. (2011) Fuzzy Logic Model for Natural Risk Assessment in SW Bulgaria. 2nd International Conference and Management Technology – IPCSIT, Singapore, IACSIT Press, pp.109-113. Balan, C. (2009) The use of Neural Networks in the Operational Risk Data Modelling. Proceedings of the 4th International Conference on Knowledge Management: Projects, Systems and Technologies, November 6-7, pp.225-227. Pradhan, B., & Lee, S. (2009) Landslide Risk Analysis using Artificial Neural Network Model Focusing on Different Training Sites. International Journal of Physical Sciences, 4(1), pp.1-15. Networks-A Pilot Study. International Journal of Dental Clinics, 2(4), pp.36-40. Koyuncugil, A.S., & Ozgulbas, N. (2009) Risk Modelling by CHAID decision Tree Algorithm. International Conference on Computational & Experimental Engineering and Sciences, 11(2), pp.39-46. Mosquera, N., Reneses, J., & Sánchez-Úbeda, E. F. (2008) Medium-term Risk Analysis in Electricity Markets: A Decision-tree Approach. International Journal of Energy Sector Management, 2(3), pp.318 – 339. Lin, J.W., Hwang, M.I., & Becker, J.D. (2003) A Fuzzy Neural Network for Assessing the Risk of Fraudulent Financial Reporting. Managerial Auditing Journal, 18(8), pp.657-665. Berta, I. (2009) Use of Soft Computing Methods in Risk Assessment of Electrostatic Fire and Explosion Hazards in Industries. Journal of Electrostatics, 67(2-3), pp.235-241. Park, S., Kim, B., Choi, B., Kim, E., Lee, H., & Kang, H. (2011) A Soft Computing Approach for Collision Risk Assessments. The 11th International Conference on Control, Automation and Systems (ICCAS), 26-29oct 2011, Gyeonggi-do, Korea. Jiang, L., Zhang, H., & Cai, Z. (2009). A Novel Bayes Model: Hidden Naïve Bayes. IEEE Transactions on Knowledge and Data Engineering, 21(10), 1361-1371. Friedman, N., Geiger, D., & Goldszmidt, M. (1997) Bayesian Network Classifiers. Machine Learning, 29, pp. 131-163. Ratanamahatana, C. A., & Gunopulos, D. (2002) Scaling up the Naïve Bayesian Classifier: Using Decision Trees for Feature Selection. IEEE International Conference on Data Mining - ICDM 2002, Japan, 9-12th December, IEEE, pp.131-141. Yang, X. (2010) A Wearable Real-Time System for Physical Activity Recognition and Fall Detection. Master of Science Thesis, University of Saskatchewan. Patil, D. D., Wadhai, V. M., & Gokhale, J. A. (2010) Evaluation of Decision Tree Pruning Algorithms for Complexity and Classification Accuracy. International Journal of Computer Applications, 11(2), pp.23-30. Negoita, , Neagu, D., & Palade, V. (2005) Computational Intelligence: Engineering of Hybrid Systems. Heidelberg: Springer-Verlag. Turban, E., & Aronson, J.E. (1998) Decision Support Systems and Intelligent Systems. 5th edn., London: Prentice-Hall. Ochuko, R. E., Cullen, J. A. & Neagu, D. (2009) Overview of Factors for Internet Banking Adoption. International Conference on CyberWorlds - CW, Conference Proceedings, Bradford, 7-11th September 2009, Washington, DC: IEEE Computer Society, pp. 163-170. Comrey A. L. & Lee, H. B. (1992) A First Course in Factor Analysis. 2nd ed., New Jersey: Lawrence Erlbaum Associates, Inc.
Viaene, S., Derrig, R.A., Dedene, G. (2004) A Case Study of Applying Boosting Naïve Bayes to Claim Fraud Diagnosis. IEEE Transactions on Knowledge and Data Engineering, 16(5), pp. 612-620. Moran, S., He, Y., & Liu, K. (2009) Choosing the Best Bayesian Classifier: An Empirical Study. IAENG International Journal of Computer Science, 36(4), pp. 322-331. Churchill, (1999) Marketing Research: Methodological Foundation. 7th edn., Hinsdale, IL: The Dryden Press. Haire, J. F., Tatham, R. L., Anderson, R. E., & Black, W. (1998) Multivariate Data Analysis: With Readings. 5th edn., London: Pearson Education. Field, A. (2009) Discovering Statistics using SPSS. 3rd edn, London: SAGE Publications Ltd.
Heckerman, D. (1996) A Tutorial on Learning with Bayesian Networks. Technical Report: 1996- MSR-TR-95-06. Abstract: VANET is a vehicle communication platform in which the vehicles can communicate with other vehicles either directly or through infrastructure unit named as RSU (road side unit). The density of the network depends upon several factors and condition of roads. In urban cities, the densities of vehicles are high whereas in rural area, the density can vary. Therefore, vehicle to vehicle communication faces problems in while communicating through VANET and the developer needs to design an infrastructure that can resolve this problem. In this paper, we are presenting a comparative analysis of various routing techniques used in VANET. The main issue that find in VANET communication is the selection of an appropriate routing protocol. Therefore, to know about the advantages, disadvantages and application of four different routing algorithms named as position based, geo based, cluster based and topology based a comparative analysis has been performed. Keywords: VANET, Routing Protocols, Position Based, Geo Based, Cluster Based and Topology Based. Vijayakumar, P., Chang, V., Deborah, L. J., Balusamy, B., &Shynu, P. G., “Computationally efficient privacy preserving anonymous mutual and batch authentication schemes for vehicular ad hoc networks,” Future generation computer systems, 78, pp. 943-955, 2018. Shah, S. A. A., Ahmed, E., Xia, F., Karim, A., Shiraz, M., & Noor, R. M., “Adaptive beaconing approaches for vehicular ad hoc networks: A survey,” IEEE Systems Journal, 12(2),pp. 1263-1277, 2018. Al-Sultan, S., Al-Doori, M. M., Al-Bayatti, “ A. H., &Zedan, H. A comprehensive survey on vehicular ad hoc network,” Journal of network and computer applications, 37, pp. 380-392, 2014. Liu, J., Wan, J., Wang, Q., Deng, P., Zhou, K., &Qiao, Y., “ A survey on position-based routing for vehicular ad hoc networks,” Telecommunication Systems, 62(1), pp. 15-30, 2016. Liu, K., Ng, J. K., Lee, V., Son, S. H., &Stojmenovic, I, “Cooperative data scheduling in hybrid vehicular ad hoc networks: VANET as a software defined network. IEEE/ACM Transactions on Networking (TON), 24(3), pp. 1759-1773, 2016. He, D., Zeadally, S., Xu, B., & Huang, X., “An efficient identity-based conditional privacy-preserving authentication scheme for vehicular ad hoc networks,” IEEE Transactions on Information Forensics and Security, 10(12), pp. 2681-2691, 2016. Li, G., Boukhatem, L., & Wu, J., “Adaptive quality-of-service-based routing for vehicular ad hoc networks with ant colony optimization,” IEEE Transactions on Vehicular Technology, 66(4), pp. 3249-3264, 2017. Xia, Y., Chen, W., Liu, X., Zhang, L., Li, X., & Xiang, Y., “Adaptive multimedia data forwarding for privacy preservation in vehicular ad-hoc networks,” IEEE Transactions on Intelligent Transportation Systems, 18(10), pp. 2629-2641,2017. Kapileswar, N., Santhi, P. V., Chenchela, V. K., & Prasad, C. V. S. (2017, August). A fast information dissemination system for emergency services over vehicular ad hoc networks. In 2017 International Conference on Energy, Communication, Data Analytics and Soft Computing (ICECDS) (pp. 236-241). IEEE. Logeshwari, K., &Lakshmanan, L. (2017, February). Authenticated anonymous secure on demand routing protocol in VANET (Vehicular adhoc network). In Information Communication and Embedded Systems (ICICES), 2017 International Conference on (pp. 1-7). IEEE. Kumar, P., Sharma, S. K., &Singla, S. (2017). This paper proposes a geographical awareness routing protocol based on a hybrid routing protocol, the Zone Routing Protocol (ZRP), in Mobile Ad Hoc Networks (MANETs). ZRP is created from combining proactive routing protocol and on-demand routing protocol; therefore, it inherits the advantages of both these routing protocols. The long delay time of the on-demand routing protocol and the huge routing... Wireless Networks, 23(1), 103-116. Li, F., & Wang, Y. (2007). Routing in vehicular ad hoc networks: A survey. IEEE Vehicular technology magazine, 2(2). Lee, K. C., Lee, U., &Gerla, M. (2010). Survey of routing protocols in vehicular ad hoc networks. In Advances in vehicular ad-hoc networks: Developments and challenges (pp. 149-170). IGI Global. Yousefi, S., Mousavi, M. S., &Fathy, M. (2006, June). Vehicular ad hoc networks (VANETs): challenges and perspectives. In ITS Telecommunications Proceedings, 2006 6th International Conference on (pp. 761-766). IEEE. Rana, S., Rana, S., &Purohit, K. C. (2014). A review of various routing protocols in VANET. International Journal of Computer Applications, 96(18). Ali, F., Shaikh, F. K., Ansari, A. Q., Mahoto, N. A., &Felemban, E. (2015). Comparative analysis of VANET routing protocols: On road side unit placement strategies. Wireless Personal Communications, 85(2), 393-406. Hassan, A. N., Kaiwartya, O., Abdullah, A. H., Sheet, D. K., & Raw, R. S. (2018). Inter Vehicle Distance Based Connectivity Aware Routing in Vehicular Adhoc Networks. Wireless Personal Communications, 98(1), 33-54. Balico, L. N., Loureiro, A. A., Nakamura, E. F., Barreto, R. S., Pazzi, R. W., & Oliveira, H. A. (2018). Localization Prediction in Vehicular Ad Hoc Networks. IEEE Communications Surveys & Tutorials. Naumov, V., Baumann, R., & Gross, T. (2006, May). An evaluation of inter-vehicle ad hoc networks based on realistic vehicular traces. In Proceedings of the 7th ACM international symposium on Mobile ad hoc networking and computing (pp. 108-119). ACM. Abuashour, A., &Kadoch, M. (2017). Performance improvement of cluster-based routing protocol in VANET. IEEE Access, 5, 15354-15371. Lo, C. C., &Kuo, Y. H. (2017). Traffic-aware routing protocol with cooperative coverage-oriented information collection method for VANET. IET Communications, 11(3), 444-450. Abstract: Wireless Sensor Networks (WSNs) consists of a small group of sensor nodes used to gather data from the area which they deployed. The nodes are cannot be charged so there is a need for Energy-Efficient protocol to choose a better cluster. The nodes are grouped into cluster and election of Cluster Head (CH) is a vital task in WSNs. This paper presents a better energy-efficient model for WSNs. The proposed model called MOD-LEACH presents a novel idea in election of CH with the specified parameters such as residual energy, distance, threshold energy, total nodes of cluster and forms a cluster in order to work in an efficient manner. The proposed scheme is suitable for large scale networks where the energy is one of the main constraints. Efficiency is also enhanced by utilizing the power amplification models of the proposed scheme. By the simulation results obtained K-LEACH is comparatively better in energy-efficient model for WSNs. Keywords: Energy Efficient Protocol, Cluster Head Election, Threshold Energy, Power Amplification. Heinzelman, A. Chandrakasan, H. Balakrishnan, “Energy efficient communication protocol for wireless sensor networks”, in: Proceeding of the Hawaii International Conference System Sciences, Hawaii, January 2000. Bao Zhenshan, Xue Bo, Zhang Wenbo. “HT-LEACH: An Improved Energy Efficient Algorithm Based on LEACH”, International Conference on Mechatronic Sciences, Electric Engineering and Computer (MEC), 2013. Lalita Yadav, Ch. Sunitha, “Low Energy Adaptive Clustering Hierarchy in Wireless Sensor Network (LEACH)”, International Journal of Computer Science and Information Technologies, Vol. 5(3), 2014. Shikha Magotra, Krishan Kumar, “Detection of HELLO flood Attack on LEACH Protocol”, International Advance Computing Conference (IACC),IEEE,2014. Reenkamal Kaur Gill, Priya Chawla and Monika Sachdeva, “Studyof LEACH Routing Protocol for Wireless Sensor Networks”,International Conference on Communication, Computing & Systems (ICCCS),2014. R. Heinzelman, A .Chandrakasan, and H. Balakrishnan.,“Energy-Efficient Communication Protocol for Wireless Microsensor Networks”. IEEE. Published in the Proceedings of the Hawaii International Conference on System Sciences, January 4-7. Lindsey and C. S. Raghavendra., “PEGASIS: Power- Efficient GAthering in Sensor Information Systems”02 WZ IEEE EEFAC p a p #242, Updated Sept 29,2001. Yi, J. Heo, Y. Cho, J. Hong., “PEACH: Power-efficient and adaptive clustering hierarchy protocol for wireless sensor networks” ELSEVIER Computer Communications 30 (2007). Manjeshwar and D. P. Agrawal., “TEEN: A Routing Protocol for Enhanced Efficiency in Wireless Sensor Networks” IEEE 2001. Shah, R.; Rabaey, J. Energy aware routing for low energy ad hoc sensor networks. In Proceedings of the IEEE Wireless Communications and Networking Conference (WCNC), Orlando, FL, USA, March 2002. Li, L.; Halpern, J.Y. Minimum-energy mobile wireless networks revisited. IEEE Int. Conf. Commun. 2001, 1, 278-283. Gupta R.Waoo A., and Sharma S., A Survey of Energy Efficient Location based Multipath Routing in MANET, International Journal of Computer Applications (0975 – 8887), Volume 59– No.11, pp. 42-46, December 2012. Manjeswar, A.; Agrawal, D.P. APTEEN: A hybrid protocol for efficient routing and comprehensive information retrieval in wireless sensor networks. In Proceedings of 2nd International Workshop on Parallel and Distributed Computing Issues in Wireless Networks and Mobile Computing, Fort Lauderdale, FL, USA, April 15–19, 2002; pp. 195-202. Abstract: Poor power quality like reduced power factor and elevated levels of harmonic distortion generate a number of problems for electrical utilities, and large industrial consumers are typically charged consequently. Condensed power factor is such a common problem based on typical loads that techniques are frequently applied to improve power factor when it is less than certain levels. Traditional procedures for increased power factor typically consist of adding power factor correction capacitors to deliver the reactive volt-ampere reactive (VARs) near the location that inductive loads are absorbing VARs. In adding up to inductive loads creating reduced lagging power factor, power electronic devices often reduce power factor similarly. Power electronic devices have become so commonly used that sophisticated techniques have been developed to improve power factor and reduce current total harmonic distortion for such devices. A common technique utilized for processes that must provide a large range of possible voltages is to include added transformer taps coupled with the power electronic devices. In addition to traditional methods for increasing power factor, by careful consideration during the design phase of processes and load cycles that have a repetitive nature, power factor can be improved. Such a method uses a computer algorithm approach to find the ideal compromise of the relevant design parameters for improved energy efficiency and power factor. Keywords: Power Factor, Energy Efficiency, THD, Industrial Process, Optimization Technique, VAR. "U.S. Energy Information Administration," [Online]. Available: www.eia.gov. [Accessed 5 November 2012]. C. f. E. Information, "What is electricity transmission?," [Online]. Available: http://www.centreforenergy.com/AboutEnergy/Electricity/Transmission/Overview. [Accessed 5 October 2012]. J.R, Foundations of Electric Circuits, Upper Saddle River: Prentice Hall, Inc., 1999. R, M. McGranaghan, Santoso.S and and Beaty, Electrical Power Systems Quality, Mexico: McGraw-Hill, 2003. C. I. Continental Divide, "Large Industrial Transmission Service," [Online]. Available: http://www.cdec.coop/content/large-industrial-transmission-service. [Accessed 20 October 2012]. J and Siahkolah .B, "New Solid-State Onload Tap-Changers Topology for Distribution Transformers," Power Delivery, IEEE Transactions on, vol. 18, no. 1, pp. 136-141, 2003. Chapman S.J, "Introduction to Power Electronics", Electric Machinery Fundamentals, 3rd edition, New York: McGraw-Hill, 1999. Trzynadlowski .M, Introduction to Modern Power Electronics, second edition, Hoboken: John Wiley & Sons, 2010. J., S. M. and V. G., Principles of Power Electronics, Addison-Wesley, 1991. Mohagheghi S, EGGN 580: Electric Power Quality, Fourier Series, Golden: Colorado School of Mines, 2012. A., "Powers in Nonsinusoidal Situations - A Review of Definitions and Physical Meaning," Power Delivery, IEEE Transactions on, vol. 5, no. 3, pp. 1377-1389, 1990. Sen . P, EGGN 584: Power Distribution Systems Engineering, Golden: Colorado School of Mines, 2011. R., "Harmonic Distortion of the Mains Voltage by Switched-Mode Power Supplies - Assessment of Future Development and Possible Mitigation," in European Power Electronics Conference, 1989. K,Dr.Venkatachalam.V,“Flyback with Half Wave Rectifier for Single Stage Power Factor Correction” International Journal of Scientific and Engineering Research (IJSER) Volume 4, Issue4, April 2013 Edition (ISSN 2229-5518). K,Dr.Venkatachalam.V “Single Phase Converters for Power Factor Correction with Tight Output Voltage Regulation”, International Journal of Emerging Technology & Advanced Engineering (ISSN 2250-2459), Volume 3, Issue 2, February 2013. S, Dr.Sundararaju.K,Thenmozhi.N Capacitor Situation In Distribution Systems For Real/Reactive Power Volume 118 No. 20 2018, 2403-2415. Isfahani, E. B.M. and L. H., "Design Optimization of Low-Speed Single-Sided Linear Induction Motor for Improved Efficiency and Power Factor," Magnetics, IEEE Transactions on, 44, no. 2, pp. 266-272, 2008. M, EBGN 560 - Decision Analysis, Golden: Colorado School of Mines, 2012. R and Reilly.T, Making Hard Decisions with Decision Tools, Mason: Cengage Learning, 2001. F and Stermole.J, Economic Analysis & Investment Decision Methods, thirteenth edition, Lakewood: Investment Evaluations Corporation, 2012.